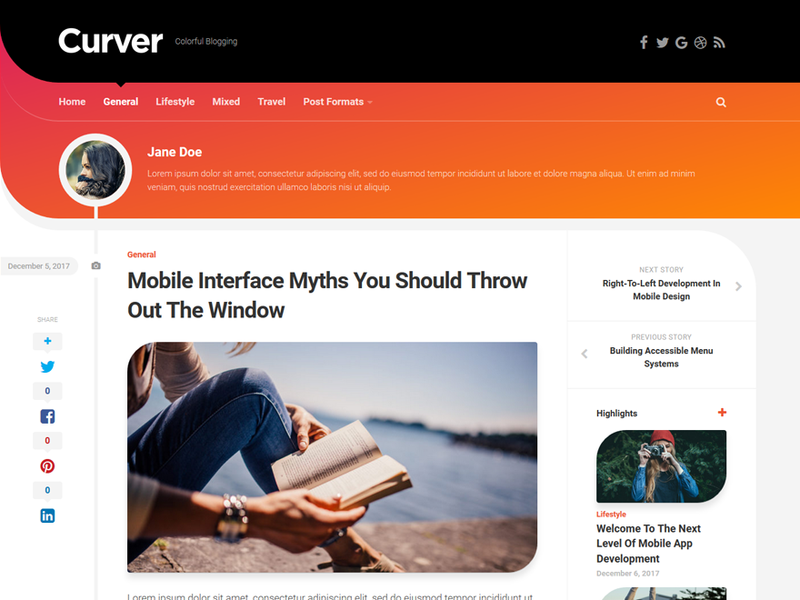 Curver is a flexible personal blog theme with plenty of options. Optimized for all devices, this theme will stand out with a unique colorful curved header style with a header profile image, name and description. It includes a featured posts slider and two different blog layouts: standard and list. Set the theme to any width and accent color you wish. Use a sidebar to the right, or disable it entirely – it is all up to you.